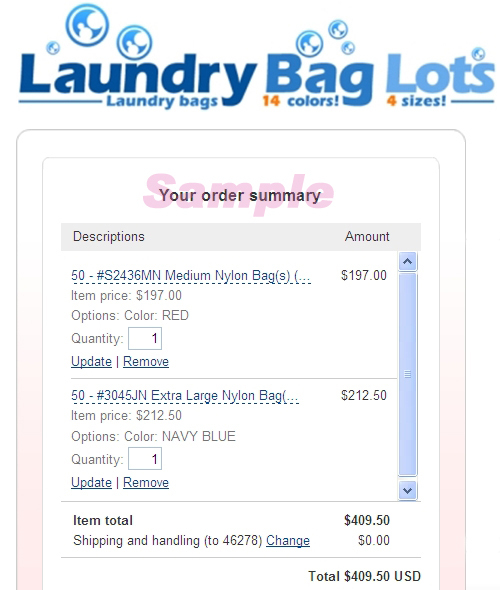 Laundry Bag Store Online Site. 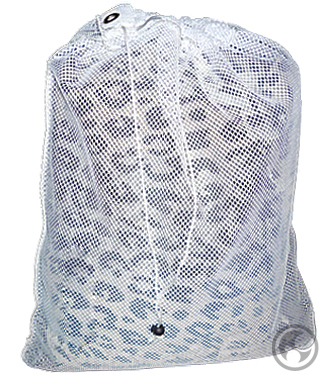 Small Nylon Mesh Laundry Bag with Drawstring, Color: White - Size: 22" x 28"
Our long lasting, high quality, small nylon mesh laundry bag includes a locking drawstring and hanging grommets. The top is reinforced for added strength. Each bag can hold 25-30 lbs. and measures 22 inches wide by 28 inches long. Recommended all mesh bags be washed separately to soften and tested for color-fastness before using. Wash warm water, tumble dry med-high heat. Slight shrikage may occur. Available in white only. 50 bag minimum. Must purchase in quantities of 5. Larger Size Available in 5 Colors!